Page loading speed is a crucial factor on which Google prioritizes its search engine results. Customers are always looking for information that can load fast on their devices without much waiting time. Whenever there is a long waiting time, users tend to move on to some other applications that offers similar services. The Accelerated Mobile Page was proposed by Google in order to bridge the issue that content publishers on the internet were actually facing. The project aims to speed up the webpages on any mobile device so that you can stay ahead of your competitors. So, implementing it as quickly as possible is what is needed. AMP framework can be applied to webpages, but here in this blog we will focus on how it can be used on the Magento 2 ecommerce platform. When searching for a service or a product on smartphones, customers usually find the products on top of the search results page. It is by using AMP that the webpages can be loaded instantaneously across varied platforms and also devices. It does not matter the type of tablet, device or phone that the customer is connected to. AMP is a special module that makes the website’s content load very fast on various mobile devices. It helps the users to reach the website in no more than 3 second and this can only be done by properly optimizing the site for smartphones. 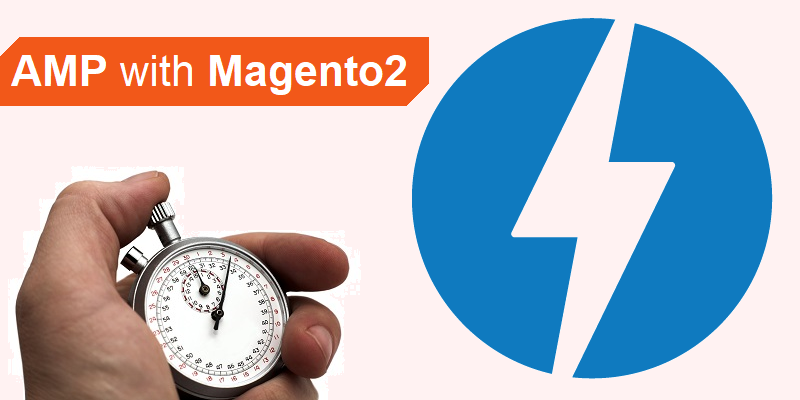 If your website is developed on the Magento 2 platform, then the AMP module is your solution. 1 – Content uploaded into amp specific domain: One easy and fast means to implement content is when the page is adapted to the AMP supported essentials and the output is loaded into the amp specific domain. This is basically suitable when the work is outsourced to any third party service provider. 2 – Importing content into any demo template: Magento has teamed up with third parties to create demo templates and this displays the product page with proper AMP structure. The module offers minimum designs and content and it is open ended, so that the Magento2 development community can add their own ideas and innovations. With more than 900k domain having adopted AMP, it is a must for ecommerce retailers to implement it if they are willing to capture business opportunities and increase their sales. As we are familiar with the fact that Page loading speed is a factor on which Google prioritizes its search engine results as you stated. I totally agree with you and I would like to add that this can also done by optimizing the code and the images used in the website. And I have a question regarding “Content uploaded into amp specific domain” would it not slow down the loading process?